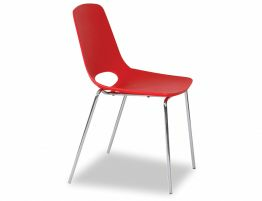 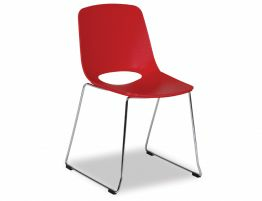 With bold modern style, this red designer barstool offers a vibrant update to your kitchen bench or counter seating or your commercial barstools. 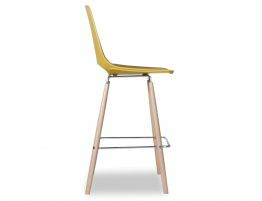 In 2 available heights, a 68cm kitchen bench height and a 77cm commercial bar height, this barstool is sized for both home and commercial barstool needs. A contemporary classic that can easily blend with any modern or more traditional interiors, while providing striking added seating for your bar with thoughtful design, style, functionality and expert construction. 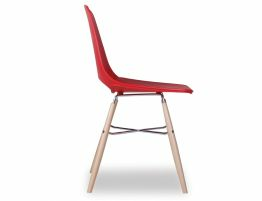 Designed by Enrique Marti Associates for OOLand, this red designer barstool offers a pop of colour wherever you need it. 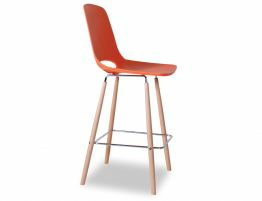 Stunning in a mostly white kitchen or perfect paired with natural wood finishes, this modern red barstool is a must have. 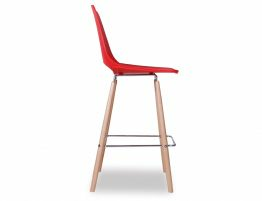 Whether you are looking for a red barstool for your home kitchen or red restaurant barstools, the Wasowsky barstool is built to withstand regular use and holds up to even the busiest of kitchens and restaurants.